PARTICIPATE IN THE PHOTOGRAPHY CONTEST! Have you ever heard that trees may have an extraordinary power that can improve our health and the best way to get strength out of the trees is walking in the woods? In the ancient times it was known about the healing property of trees, so let’s try to take an advantage of the good power of trees! 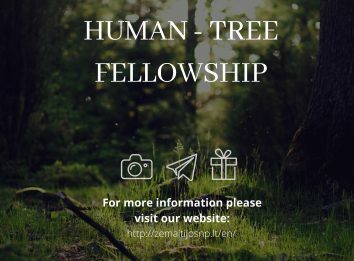 We invite everyone who loves photography to explore the trees growing in Zemaitija National Park and experience human-tree fellowship while searching the most attractive hardwood. Participate in the photography contest “Human-Tree Fellowship”. 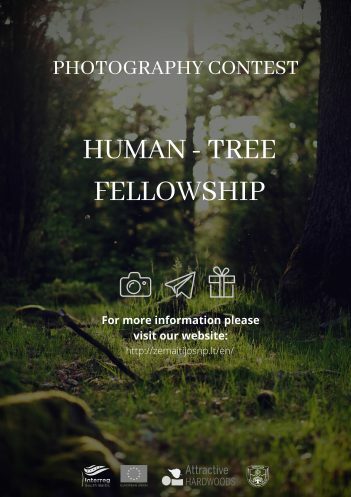 Take a photo of any hardwood growing in Zemaitija National Park – oak, linden, ash, maple or any other hardwood tree you like or take a photo of yourself near these trees and post photos on your Facebook or Instagram accounts using hashtag #hardwoodinznp. The contest will be held until the September 30th, 2018. Authors of the best photos will win the prizes and the photos will be printed and exhibited.